The Arlington County Board has voted to eliminate the County’s 1967 requirement to display a vehicle decal on front windshields. License plate reading technology will be used to enforce vehicle registration and payment of vehicle personal property taxes. The Board voted unanimously at its Tuesday, Sept. 25, 2018 Recessed County Board Meeting to eliminate the decal. For decades, the County has required a decal to be displayed to help the Commissioner of Revenue ensure that vehicle owners properly registered their vehicles. The license plate reader technology that the Commissioner is adopting will make enforcement more efficient and effective. Jurisdictions across Virginia have been eliminating their decals, and today, only 21 out of 323 localities still use them. 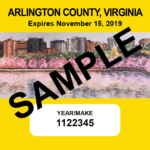 Arlington vehicle owners will need to display their yellow 2018-19 decals through July 1, 2019. After that, no decal will be required. Although the Arlington County Treasurer is losing an enforcement tool with the decal’s elimination, with the ability to impose liens, garnishments, and other collection methods, she is confident that Arlington’s low tax delinquency rate (0.187%) will not be compromised. 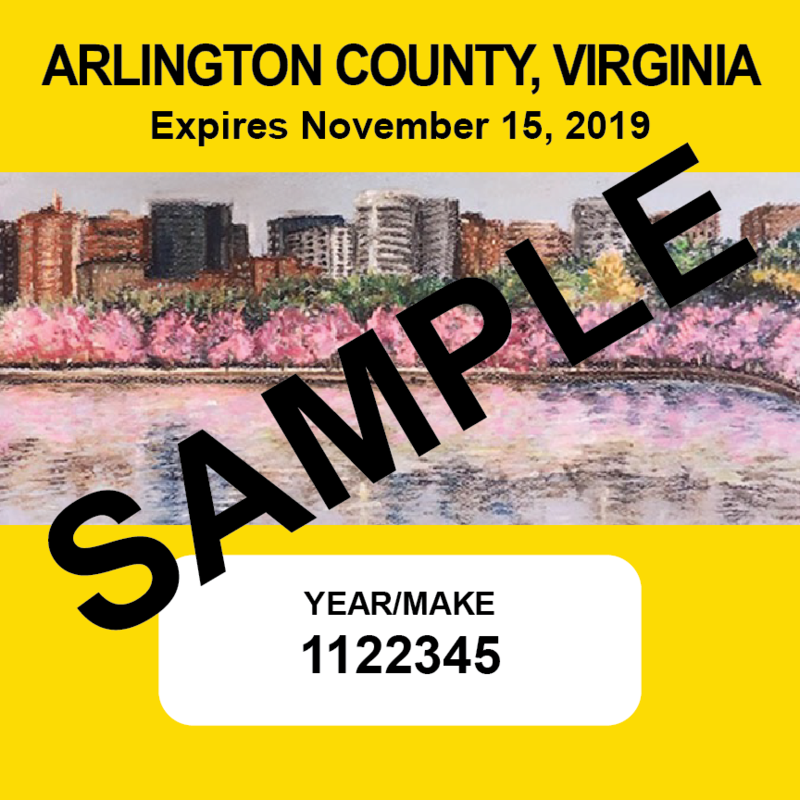 The change also means that the County Treasurer will no longer sponsor the decal design contest that for years has produced the County’s decal from the photos and artwork designed by Arlington County high school students. “The decal competition was a great collaboration between art, teens, and local government, and I am sorry to see it end,” Arlington County Treasurer Carla de la Pava said. The County’s motor vehicle license fee, which generates $5 million annually, will not be eliminated. To learn more about the decal’s elimination, visit the County website. Scroll to Item No. 24 on the agenda for the September 2018 Recessed County Board Meeting. An upgrade to Nelly Custis Park will include new, ADA-compatible playground equipment, improved drainage and circulation and other improvements.